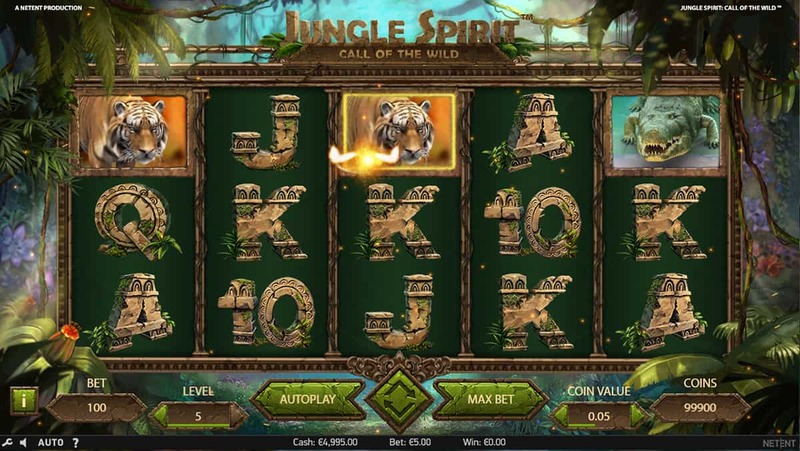 The roar that greets us when we fire up Jungle Spirit: Call Of The Wild Slot. It lets us know that we are in for a wild ride through the jungle. Think more along Disney’s live action Jungle Book, rather than the 1967 cartoon classic. These beasts mean business – this is there territory and we are the visitors. That’s not to say that we can’t escape from this dangerous habitat with more than our lives. The medium-paying animals don’t take the stage fully in terms of payouts until we reach the free spins round. But with two additional bonus features we can expect plenty to encourage us on our way as we plough through the jungle like the slots adventurers we are. 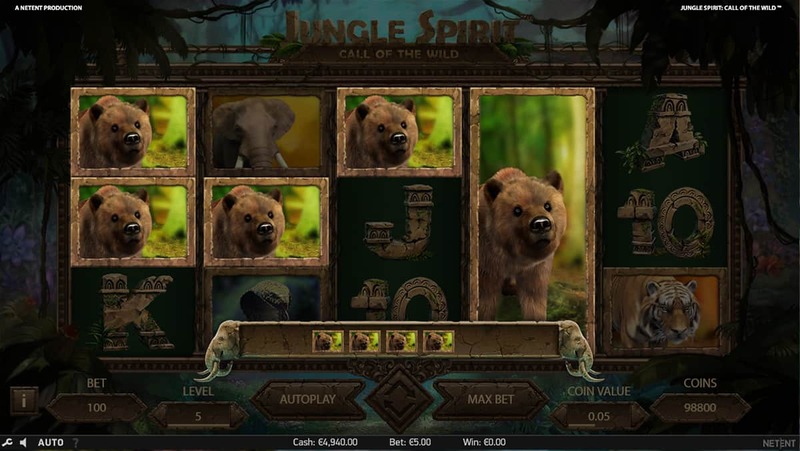 NetEnt has gone for full-blow realism when it comes to the graphics and game design on its Jungle Spirit slot. The beasts prowl and growl with fiersome intent amid the steamy overgrowth of the jungle, snapping at us when we land winning combos. But all the while the reels are glittered with lightning bugs - hints that there is a delicate opposite to the raw power of the TIger, Elephant, Bear, Cobra and Crocodile that make up our medium-paying symbols. When NetEnt says “medium”, it sounds derogatory. But landing a series of these beasts in a winning combo can deliver plenty more towards the big win side of things. The 243 Ways pay structure removes the disappointment of scoring would-be payline wins. 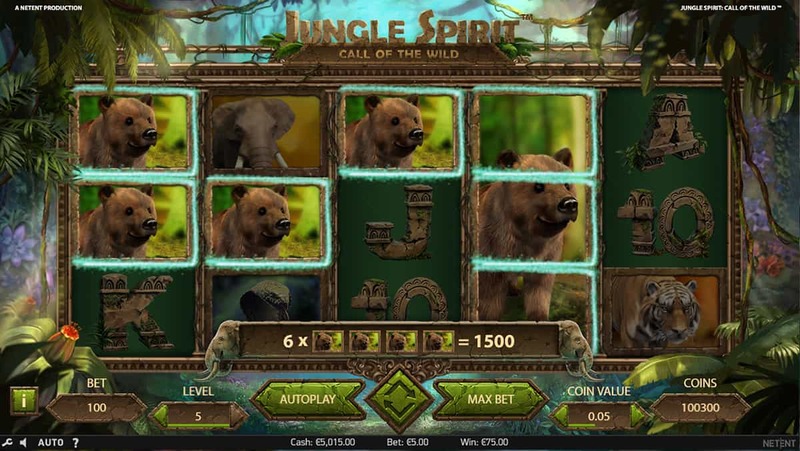 To boost the medium-paying outlay of Jungle Spirit’s top symbols, NetEnt includes two bonus features that expand winning combos, thereby maximising the use of the 243 Ways system. The first, the Symbol Expansion feature, is triggered by a symbol sheltering a glowing butterfly in the corner when it forms part of a winning combo. The Butterfly Boost feature activates randomly, but expands a winning reel to deliver further wins. But it is in the Free Spins feature that we extract the most value from this slot’s bonus games. Triggered when we land three Lotus Scatters, we gain an extra reel and therefore a further 781 Ways to Win. 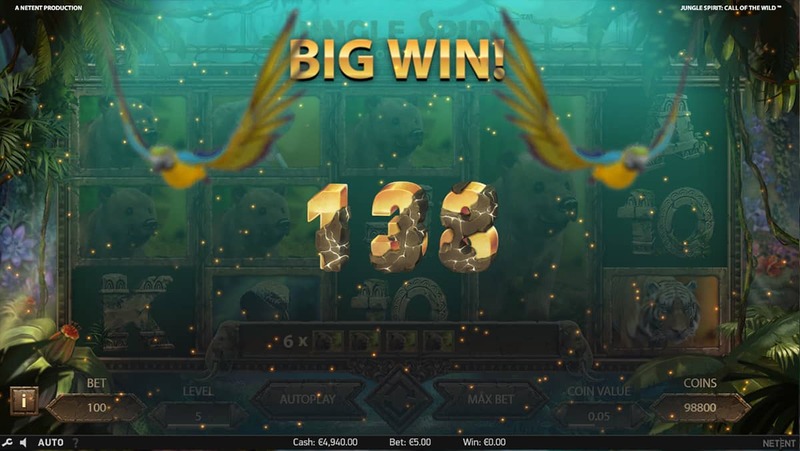 With between 4-20 free spins on offer - dependent on the dominant animal we pick - we have superb potential to go all out for a higher multiplier or take a longer, more settled approach. As with any jungle adventure, we must make our decisions wisely. With superb visuals and atmospheric game design, Jungle Spirit is one for the must-play box. The 243 Ways system and two expansion features ensure we have plenty to keep us spinning during the base game, but it is the high-variance Free Spins round where we will really make the most of this adventure. Have we got the spirit and the skill to emerge safely from the danger of the jungle? Only you can answer the call.